It's official! I will be a guest at this year's Dragon*Con! I attended my first Dragon*Con in 1994 and have not missed one since. It easily one of the top highlights of the year for me and I am extremely honored to be among the guests celebrating the show's 25th anniversary. I'm sure it will be a party like no other! It is not too soon to make plans to attend if you have not already done so. Look forward to seeing you there! 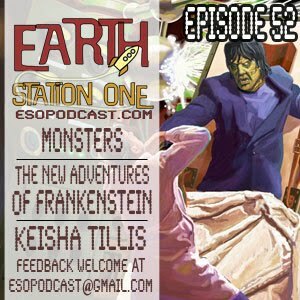 On this week's show, we go into the shadows and look at all things that creep and crawl and talk about our favorite monsters, then we will be chatting about the upcoming novel “The New Adventures of Frankenstein” with editor Bill Cunningham & artist Mark Maddox, but wait that’s not all! We also talk to Keisha Tillis from the TV show The Walking Dead and her upcoming appearance at FandomFest Cincy. Listen to ESO #52 here, or download this podcast from iTunes. 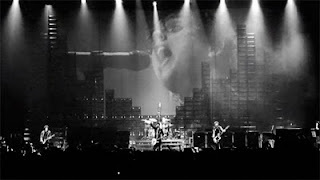 Green Day has generously released this free video on iTunes from their most recent concert in Japan. Whatever money you would have spent on this, please donate towards Japanese relief efforts. Full trailer for Captain America has me sold! 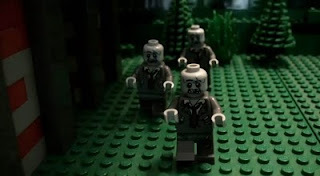 LucasArts has released a few short videos promoting LEGO Star Wars III. 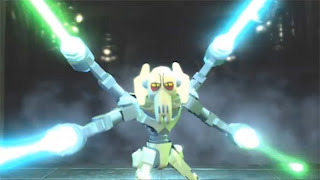 They are pretty good, but I'm still waiting to see LEGO Kit Fisto! 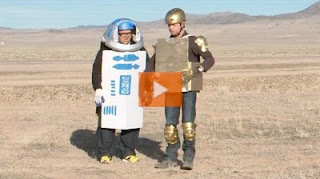 Troopers is a funny new series of shorts from College Humor well worth checking out! New episodes are released every Monday. It's Blinky! It's Blinky! It's fun for a girl or a boy! 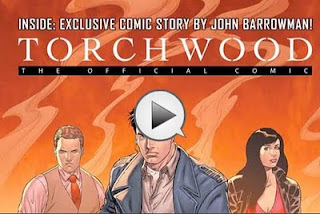 There's a new Torchwood series coming in July! 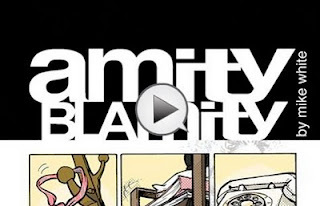 While you're waiting, pick up the comic series with some stories written by members of the cast. Today I'll be at the Charlotte ComiCon at the Crowne Plaza Hotel. Great guest list includes Andy Smith, John Aston, Chrissie Zullo, Vera Van Munster, and my good friend, Bobby Nash along with many others! Hope to see ya there! 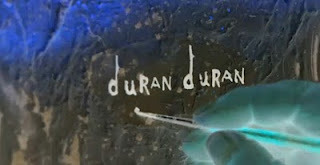 David Lynch directs a live online concert by Duran Duran airing March 23rd! The teaser for the new Conan movie is just that! More footage of the upcoming Abrams/Spielberg collaboration. New Doctor Who segment created for the charity event called Red Nose Day. Looking forward to the new season! This video shows why you don't need a huge budget for a Simon Pegg/Nick Frost film. Just start the camera and roll film! Well-edited look at the distractions of allowing FB in the work place. 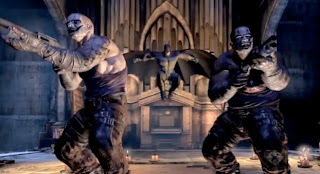 It is trailers like this that make me sad I do not have a gaming console! Love the energy of Mike White's first graphic novel! 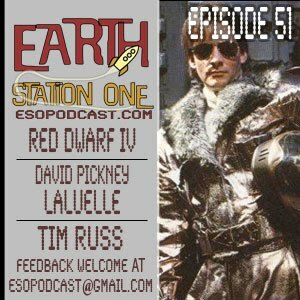 This week, we return to the fine ship Red Dwarf, and join up with Lister, Cat, Krytin and Rimmer and take a peek the fourth series. Also tonight we will be talking to David Pickney the author of the comic Laluelle. 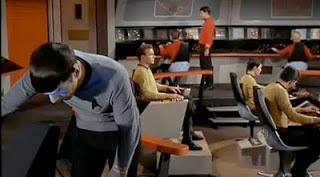 And Mike will have a brief discussion with actor Tim Russ, Tuvok from Star Trek: Voyager! Listen to ESO #51 here, or download this podcast from iTunes. On this week's show, we gather around and take a peek in the warped mind of Douglas Adams and talk about The Hitchhikers Guide to the Galaxy. Then we were sitting around on how to pay tribute to the late Nicholas Cortney, and thought what better way then a Doctor Who review, so in honor of the Brigadier we will be reviewing “The Three Doctors”. 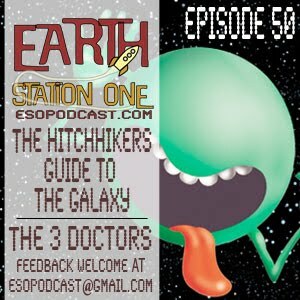 Listen to ESO #50 here, or download this podcast from iTunes. 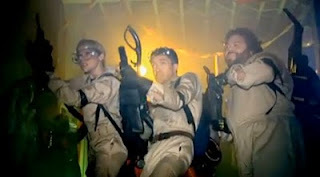 I counted almost 40 references to 80's films in this promo video for "Take Me Home Tonight." I dare you to find more! The real star of the last few Shrek movies gets his own film! 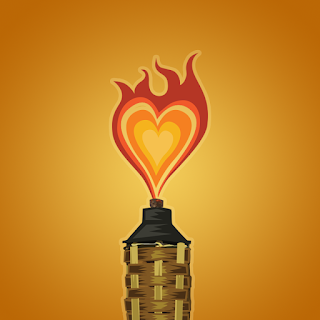 February may be over, but here's a Valentine good for any time of year! Last weekend, I had the pleasure of being a guest at the Fandomfest Metropolis Supercon held in Metropolis, IL. IMHO one of the best places to hold a convention. 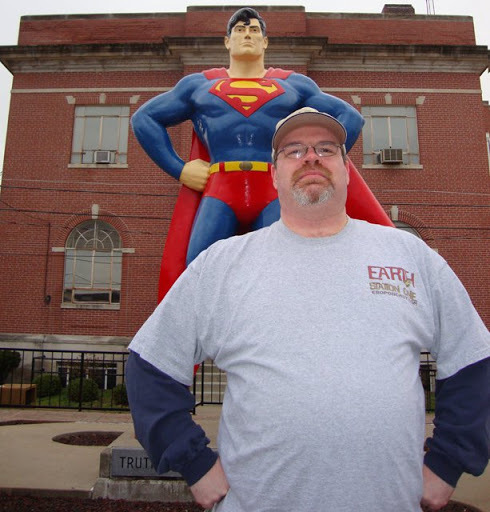 I had visited the "Official Home of DC's Superman" a few years ago and enjoyed the stature and Super Museum, and the place has just gotten better! They now have a beautiful bronze statue celebrating the "First Lady of Metropolis," Noel Neill and an Americana Museum, which will overwhelm you with over 200,000 items of memorabilia. I visited Harrah's Casino and placed my first bet ever which I won. I was not so lucky on my subsequent bets! The convention itself was a small but fun event. I met some cool people, found some cheap back issues, and sold some books! Thank Mark, Ken, and the Fandomfest folks, the city of Metropolis, and my good friend Bobby Nash for a "super" weekend! I hope to return sometime, perhaps for the Superman Celebration! Check out some pics of the weekend in my Fandom Fest Metropolis Supercon 2011 gallery! Great scott! I am in Metropolis, the official home of DC's Superman, the perfect place to listen to this week's episode! 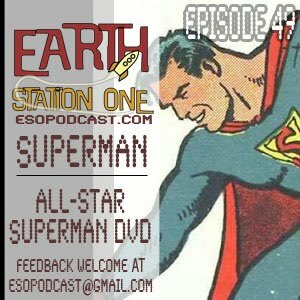 On this weeks show we take a peek at all things Superman, from his beginnings in the 1930’s to Present Day, then we will be reviewing the new DVD All-Star Superman, based off the comic mini-series of the same name. Listen to ESO #49 here, or download this podcast from iTunes. 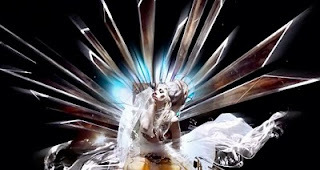 Love or hate the new single by Lady Gaga, the video is spectacular! 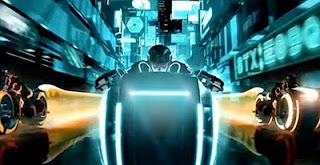 Speaking of spectacular...TRON + animated series = me there! 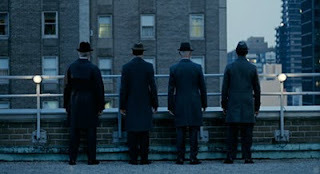 The Adjustment Bureau opens today. Matt Damon! If I knew all these girls were gonna be there, I'd never leave the gym! This Archie fan film should have been called "Riverdale: 90210." Well done! 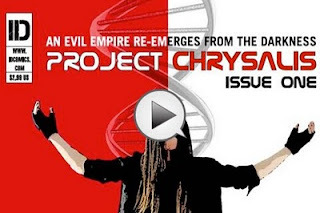 Project Chrysalis looks like a cool spin on the Captain America origin. Just a reminder that I will be a guest at the Fandomfest Metropolis Supercon in Metropolis, IL this weekend. I will have plenty of copies of Tiki Zombie Special Edition and Untold Origins of Invisible Scarlet O'Neil on hand as well as some other goodies. Stop by and say "Howdy!" On this weeks show we get con reports from various contributors with their thoughts on Con Nooga, Trek Trax Atlanta, and the Gallifrey 22 Convention out in Los Angeles. 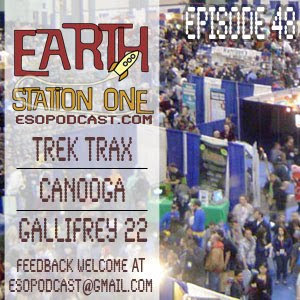 Listen to ESO #48 here, or download this podcast from iTunes.